Mid-December Links: Sandy Hook Analysis and Etc. A mix of the funny, academic, and political. This edition is slanted heavily towards academic reflections on the shootings in Sandy Hook, along with a bit of silly as a Unicorn Chaser. Treat Mass Killings as an Epidemiological Problem (via EconJeff). The piece summarizes two of the clearest recommendations following the shootings: media coverage of mass killings should diminish the portrayal of shooters as anti-heroes, and in fact should mention the shooters as little as possible, and the US needs better gun control laws – but mostly to stop non-mass shootings, which are much more common (and more common in the US than our peer countries). Points one, two and five dovetail nicely with the Telegraph article. Point four addresses the other big discussion that seems to have taken over the internet in the past few days: the role of mental illness and the identification and treatment of mentally ill youth in particular. Assault Death Rates in America: Some Follow-Up. Sociologist Kieran Healy visualizes comparative data for the US and other OECD countries to show just how violent the US is in comparison. This post offers details about the data and the choices in the comparison, the two original posts were written this Summer in response to a different shooting, and the second contains an interesting breakdown by state within the US. F*&k Freedom. Political scientist Brian Rathburn calls malarkey on the absolutist argument that having guns itself should be an inviolable right and reminds us that living in society is all about balance. And finally, via Max M, an essay written in 2009 by Susan Klebold, mother of one of the Columbine shooters: I Will Never Know Why. It’s really moving and sad, and I think offers a better window into discussions around mental illness and isolation than the very raw discussions of the recent shooting (noting again that each time is different, so to speak). The self is not a unified center of consciousness and will, but rather a loose and contingent collage of psychological, physiological, and neurophysiological processes; that the impression of a unified self is a post-facto illusion; and that acting, thinking individuals are coalitions of a heterogeneous and often conflicting group of cognitive, emotional, and practical processes. Bruce “Security Theater” Schneier reviews Harvey Molotch’s new book, Against Security. The common thread in Against Security is that effective security comes less from the top down and more from the bottom up. Molotch’s subtitle telegraphs this conclusion: “How We Go Wrong at Airports, Subways, and Other Sites of Ambiguous Danger.” It’s the word ambiguous that’s important here. When we don’t know what sort of threats we want to defend against, it makes sense to give the people closest to whatever is happening the authority and the flexibility to do what is necessary. In many of Molotch’s anecdotes and examples, the authority figure—a subway train driver, a policeman—has to break existing rules to provide the security needed in a particular situation. Many security failures are exacerbated by a reflexive adherence to regulations. The Oatmeal’s State of the Web (Winter 2012) reflects on Reddit’s victory over Digg and the hopes for Google Fiber. Very funny, if a bit gruesome, like much of the Oatmeal. 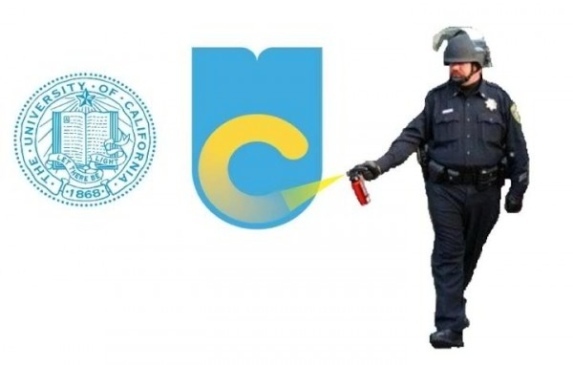 There’s been a lot of critical reaction to a proposed new University of California logo and its.. toilet bowl? aesthetic. My favorite remains this.